Egyptian/Canadian/German mama – born in Greece and married to an Emirati/American, Dina Butti is a television presenter, writer, emcee and voiceover artist with an adorable 14 month old son, Faris. Full of life and always sporting the hugest smile, Dina’s career began as a presenter for a celebrity show at Dubai One TV and evolved with the birth of her little boy – her ‘mush’ -who she couldn’t bear to leave behind each day and who now stars alongside her in recently launched show ‘Mommy Material’. If we could hand her a ticket to any concert, she’d choose Nirvana (mosh pit and all), she loves curling up in bed and watching a good TV series and her weekends are spent going on ‘epic’ walks around downtown Dubai. I was working a presenter for a celebrity show at Dubai One TV when I found out I was pregnant and that the channel had decided to end production of their shows in the SAME WEEK! I was gutted because I’d worked so hard to get to where I was; it was my dream job and of course, there are very limited opportunities in English television in the UAE. Luckily, a former Dubai One producer gathered all the presenters with the idea of joining forces to create an online channel, which we named dubai ON demand and launched soon after. I quickly realised that I wanted to be somewhat of a working mom, but found it difficult to leave my mush behind. So, I combined both worlds and recently launched a mini baby/mommy show called ‘Mommy Material’, which features local kiddie hotspots and mommy must-haves for various occasions. Filming with a baby, though, that’s a whole other conversation (#help)! A magically calorie-free Nutella cake made with caramel, soaked with condensed milk and topped with ice cream suitable for dairy intolerance. The idea of stage diving into a mosh pit at a Nirvana concert is enough to make me lose the plot. I cry most days about anything, good or bad. I’m way more emotional than people expect, but hey, at least it’s stress relieving! My mother’s konafa. It’s the only reason people show up at our place when I say I’m cooking. I get pampered – head to toe – at Tips & Toes. Shout out to the awesome staff at Bay Avenue – love you guys! In my personal life, it would definitely be marrying my hubby who I’m still gaga over. His unconditional support, love and patience continue to awe me. Plus, he’s the only person I know who’s a bigger kid than I am, so we have no problem making fools of ourselves and having a blast together. As for my career, hands down presenting live from the Oscars! It took me years of a whole lot of rejection to land my first onscreen gig and then plenty more work to establish myself as an entertainment presenter. When I found myself standing in front of a camera with a mic in hand, surrounded by stars like Angelina Jolie, Julia Roberts and Brad Pitt while standing in the heart of Hollywood, my hard work certainly felt like it had paid off. I wanted to be an artist and be on TV… and still do. I guess I never grew up haha. My family and loved ones remain healthy, happy and by my side for as long as possible. I live an honest, virtuous life worth living. 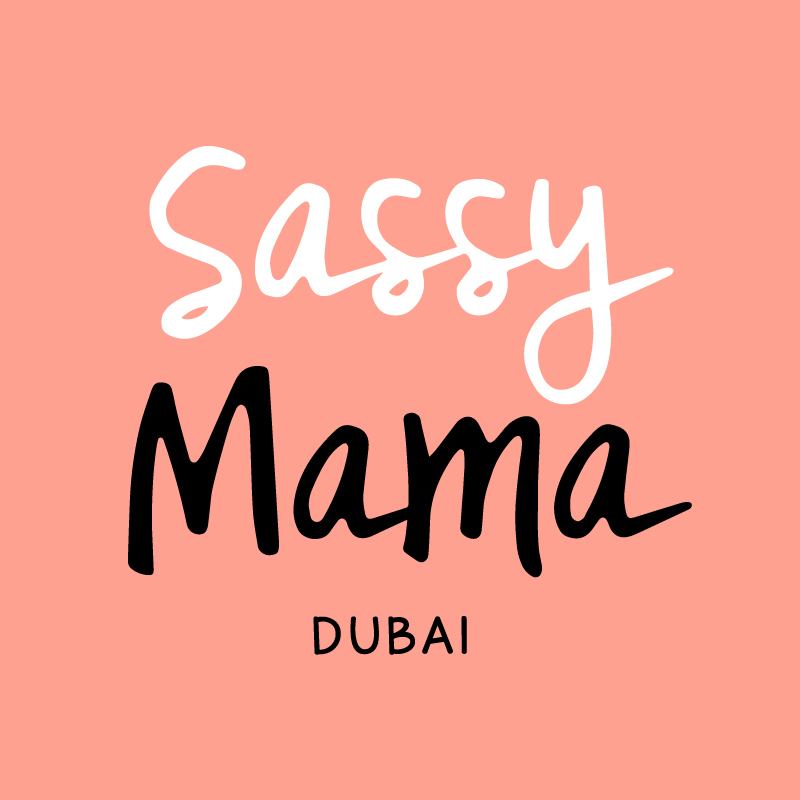 Ever since becoming a mother, I’ve been blown away by how much Dubai has to offer families – a whole world that I somehow was oblivious to previously! I was, however, the first of my friends to become a mom, so I heavily relied on Sassy Mama to figure out the kiddie what’s, how’s and why’s of the city. It was actually at an event you suggested where I met a mommy group that continues to save my sanity. And now, upon feeling more established as a mom, I’ve delved into the role, attempting to build my own mama brand as a new career path… So, to be recognised for my efforts by one of my first and favourite guides is obviously the biggest of compliments. Thank you and woohoo! Curling up in bed with the hubby and watching countless hours of awesome shows like Mr. Robot, The Good Wife and Game of Thrones. These days I’m filming quite a bit so in order to be ready on time, I have to wake up before my munchkin – usually it’s still dark out ahh! I try to do my hair, makeup and pack shoot props and the diaper bag while he’s still dozing. If I fail to, as I often do, my husband takes the reigns, which then makes him late to work. Breakfast is usually a family affair, a manic one, that involves me getting my makeup smeared and hair messed up anyway. We pick up my mom on route to our destination, who is our designated baby wrangler and caregiver on set. Filming with Faris takes four times longer than on my own as there are naps, a ton of snacking sessions and, above all, play that he doesn’t want interrupted by a camera (fair enough). By the time we’re done filming, we’re pooped, but Faris is having too much fun to leave. We get home just in time to welcome daddy, who happily takes ownership of dinner and bath time. By the time our munchkin is down for the night, we’re passed out on the bed, inhaling dinner while watching whatever new show is out that day. Glamorous, isn’t it? To figure out exactly what I want out of life before I blindly run out to the world hoping to find it through trial and error. To take a lot of risks, but only ones worth taking, and to truly embrace every memory, experience and lesson I gain from them. To become very comfortable with the idea of rejection or else I won’t take risks. To always commit to good deeds because that positive energy will come back exponentially. To work so hard to get what I deserve and have faith that if it will do me good, God will have my back. To love blindly and generously and accept it all back in return. To laugh and have a stupid amount of fun with loved ones because those moments make the best of memories. We love going on epic walks through downtown Dubai and making a zillion unnecessary ‘munchie’ stops along the way. Our mush loves the scenic routes, which often triggers an award-worthy nap, allowing my husband and I to enjoy unexpected debates and reflect on what we want out of the future. I was so pleasantly surprised to discover just how encouraging and accommodating the UAE is of breastfeeding in public. You can find nursing rooms kitted out with couches or lazyboys in every mall, tons of stores and a surprising number of venues. I’ve had staff approach me to offer me better tables at restaurants so that I can nurse comfortably, while friends of mine have even been given access to their own room at various hotels. And best of all, unlike many other places I’ve travelled, I have yet to have received a single stare or comment – so refreshing! Netflix, my rock albums from the 90s and my art supplies – I imagine I’d be quite inspired to paint. You’ll find me with a side braid, a brightly colored dress and comfy ballerinas most of the time – oh and always winged eyeliner. I am way girlier than I ever expected to be, but rarely compromise comfort for style. We find nothing funnier than when Faris catches us laughing at something and joins in on the fun with the most hysterical laughs as if he gets the joke. To be honest, I still find myself constantly battling my guilt and revising my strategy to balance work and family. Over this past year, however, I’ve concluded that I’m a far more loving and creative mother when I’ve had time to tend to my own needs and get inspired. I’ve also stopped striving to be a supermom and have no problem asking loved ones for help – mostly to tend to my munchkin, but sometimes even to help me take care of me. And lastly, no matter how chaotic my day has been, I put my laptop and phone aside, and insist on starting it and ending it devoted to my little man so that he always knows he comes first! A huge thank you to Monica Chindalia for the beautiful pictures of Dina and Faris.